Clubmans Formula car: a development of the MK20B featuring a stiffer chassis, upright rear dampers, low rear anti-roll bar and an upswept tail. Successes included: 1980 - Nigel Corry, Oceanair Clubmans champion. 1980 - Andy Smtih, Tricentrol Clubmans champion. 1981 - Andy Smith, Donington Clubmans champion. 1982 - Charles Wardle, Haynes Leaders Hillclimb champion. 1982 - Charles Wardle, Shell Harewood Hillclimb champion. 1984 - Mike Muck, Oceanair Clubmans champion. One-off Formula Ford 1600 raced by Richard and later converted to Clubmans spec once again showing the versatility for the Mallock chassis as a single seater and two seater. 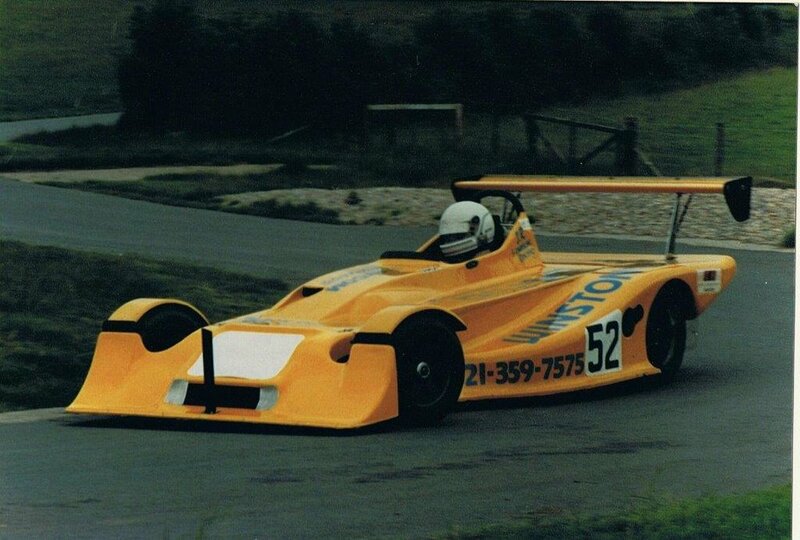 Successes included: 1980 - Richard Mallock - a number of wins & runner up in Earl of Chippenham FF1600 Championship. 1982 - Martin Wood, Oceanair Clubmans champion. Clubmans Formula car: a major development over the MK21 with a major push towards ground effect. Chassis rigidity now up to 2300 ftlbs per deg. Rear axle lateral location by Bulldog link in place of Watts linkage. This enables all of the rear suspension to be enclosed within the rear under tray to aid aero effect. Successes included: 1990 - John Harrison Formula 1300 champion. 1991 - John Harrison, Formula 1300 champion. 1992 - John Harrison, Formula 1300 champion. Clubmans Formula car: a development of the MK23. Monocoque front chassis section. 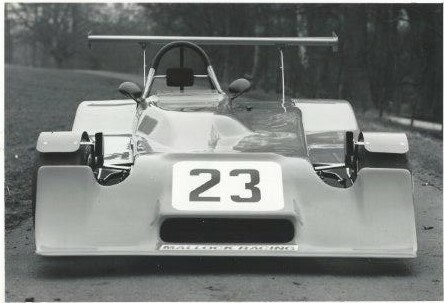 Successes included: 1983 - Kenny Allen Scottish Hillclimb champion. Clubmans Formula car: a development of the MK24 with revised rear bodywork and a further development of the rear axle lateral location system which Arthur termed as the WOB system as it was an amalgam of Watts, Olley and Bulldog mechanisms. Successes included: 1983 - Will Hoy, BARC Clubmans champion. 1983 - Hill Hoy, Doningotn Clubmans champion. 1984 - Will Hoy, Trimoco Clubmans champion. 1984 - Will Hoy, Clubmans Register champion. 1985 - Guy Woodward, Powerscreen Clubmans champion. Clubmans Formula car: an updated version of the MK24B offered as a complete car or an update. Clubmans Formula and Thundersports car: a development of the MK24 range with aluminium front bulkhead. Clubmans Formula and Thundersports car: a brand new design concept - probably the first all-new Mallock since the MK7! Ultra-light car with all aluminium bodywork, a wheelbase that was eight inches longer than the MK25 and a low frontal area. Low-drag, high downforce design with massive increase in chassis rigidity. The MK26 also featured side radiators. Clubmans Formula car with a similar chassis to the MK26: front radiators, an even longer wheelbase and conventional bodywork. The most important and innovative change was the introduction of the Mumford rear suspension lateral location system, Arthur developed this in conjunction with Michael Mumford. The system had the following features: nil spurious vertical loads, excellent roll centre control, very low RCs achievable, very low chassis mounting loads, all contained within the under tray, allowing optimisation of under aero. It remains the definitive live axle lateral location system. Successes included: 1986 - Tony Bridge, Slington & PHM Clubmans champion. 1986 - RIchard Gilmour (MK18.27) Formula 1300 champion. 1986 - David Grace (MK14/25 and MK27) Harewood Hill CLimb champion. 1988 - Richard Gilmour (MK18/27) Formula 1300 champion. Clubmans Formula car: minor update of the MK27 with the only real difference being a shorter wheelbase (hence the "S") by approximately two inches. Successes included: 1987 - Alex Moss, SDC Clubmans champion. 1988 - Peter Richings B class MIL champion. 1988 - Vernon Davies, A class MIL Clubmans champion. 1988 Tony Bridge, Slington & PHM Sports 1600 champion. 1988 - Richard Mallock, A class Clubmans register champion. 1990 Tony Bridge Vauxhall Finance Sports champion. Supersports Vauxhall and Sports 1600 car: a development of the MK27SG featuring a doubling in chassis rigidity, an all-enveloping nose, fabricated front uprights and rear venturis to herald the rebirth of the Clubmans with the new Vauxhall engine. The Vauxhall version of the MK28 was actually dubbed the MK28V and used TAM 3. Successes included: 1989 - Vernon Davies, Vauxhall Finance Sports champion. Supersports Vauxhall and Sport 1600 car: a logical development of the MK28B featuring a shorter tail, carbon fIbre wing stays and improves venturis. Successes included: 1991 - Terry Nightingale BARC Sports champion.